Allgone®is indicated for ticks, mites and lice in cattle, buffalos, sheep and goats only. Not for use in horse and cat. Allgone® is a wide spectrum ectoparasiticide. Allgone® may be applied topically at following rate. 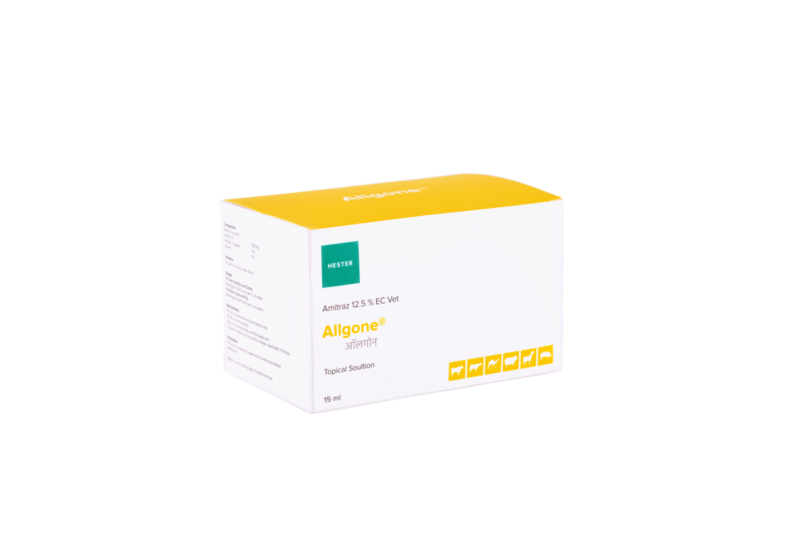 Allgone® is available as 15 ml & 50 ml packs.